Too cute for words! 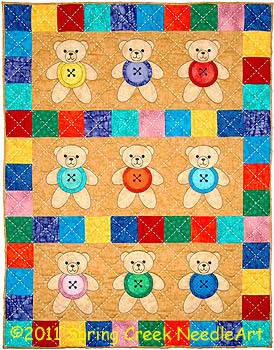 Our wall quilt features a bear for every month of the year. SKU: 2050. Categories: Children & Babies, Bears. 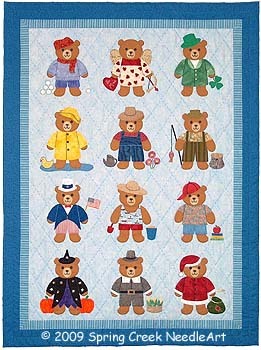 Tags: bears, calendar, embellishment, month, wall quilt. 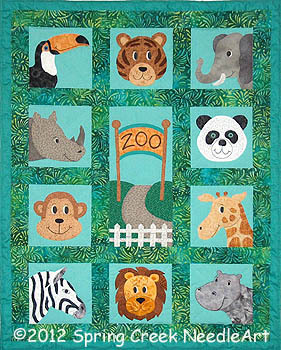 Choose the border/back, background and bear fabrics. 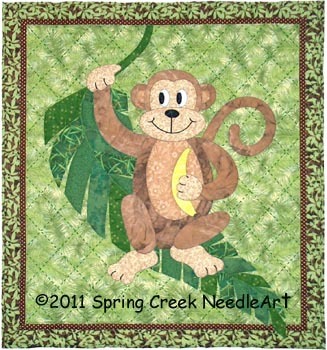 Then search your stash for the clothing and accessory fabrics and embellishments. 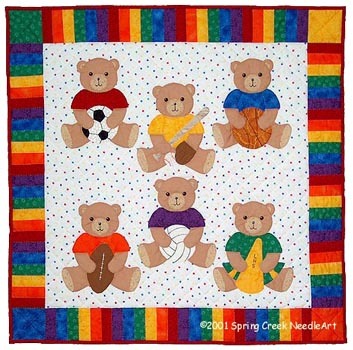 Use all twelve bears as shown or stitch them individually and change them out monthly. 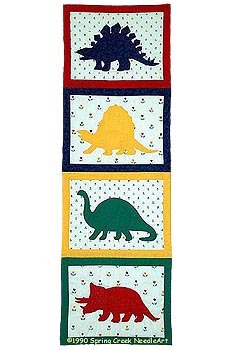 Hand, machine or fusible appliqué.